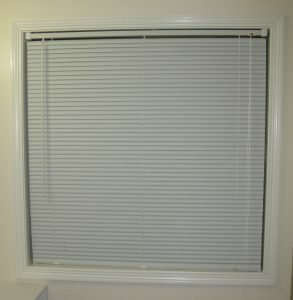 This is the 5th post about our bathroom remodel. For more information about each step of this process, click here. After finishing the bathroom flooring replacement, shower paint and door replacement, it was time to get some fresh paint on the walls. We also needed to attach and caulk baseboard around the shower so we could start using the shower again. Thankfully we have a family member who is an experienced house painter and willing to help us out on our project. We worked with him to patch and sand holes in the walls before applying a couple coats of paint on the walls and window frame. We also found baseboard at the ReStore that is a short distance from our house. It was available at the unbeatable price of 25 cents per foot. We have attached most of the baseboard and painted a portion of them already — still more work to be done. The left picture below shows the painted window frame. 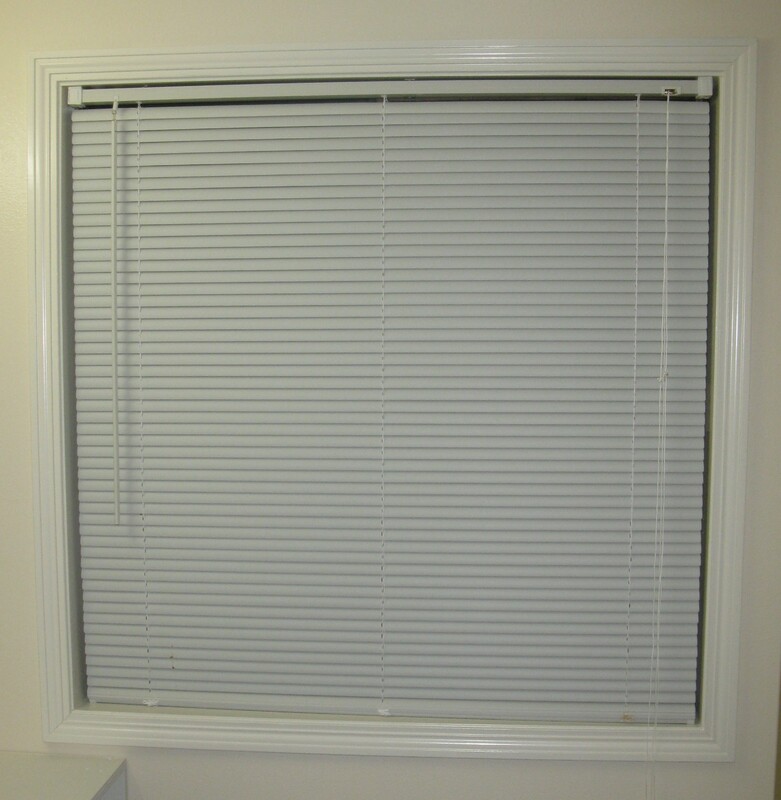 We were covering a dark walnut wood stain and the off-white paint sure brightened the window area considerably. 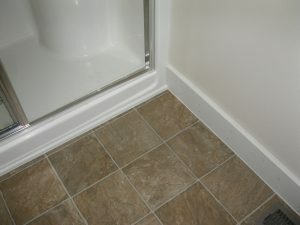 The right picture below shows a corner of the bathroom where the shower stall meets the floor. We added a 1/4 round strip in front of the shower stall and caulked it to protect the flooring from water damage. The floorboard on the right side is the installed board from the ReStore that is caulked, but not yet painted.